Luciano Pavarotti– Here the classic tenor sings in Montreal with the Boys Choir. His version of Adeste Fideles was one that my family always had planning since I was a small child. Olympic connection: Pavarotti performed at the Opening Ceremonies for the 2006 Torino Games and I was present for the show. It turned out to be his last public performance before his death soon after. 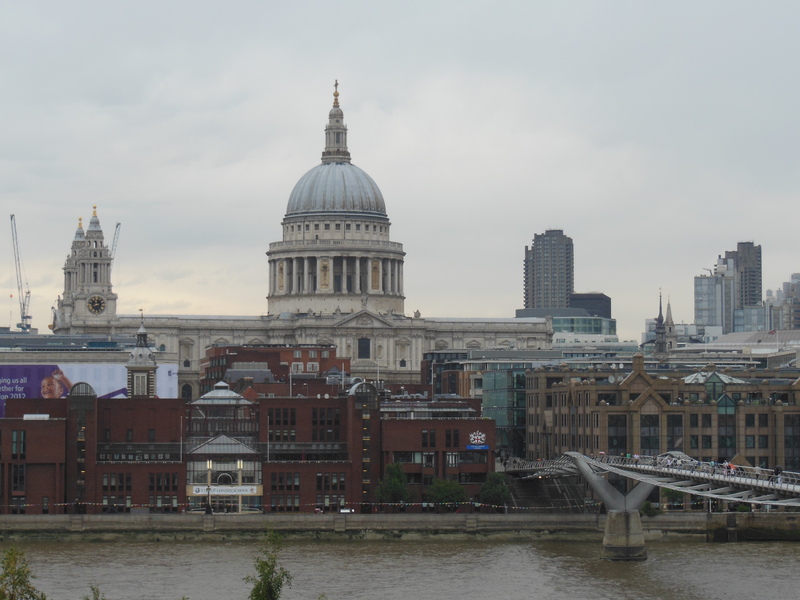 St. Paul’s Cathedral– This recording features the musicians and singers from St. Paul’s Cathedral in celebration for Christmas. It is one of the more formal and traditional versions you might come across. Olympic Connection: St. Paul’s has been a site of special services to welcome the games and the athletes of the world three times (1908, 1948, 2012). The Cathedral was also the setting for the 1981 Charles & Diana wedding for all you Royal watchers. On Monday, I was ready to talk about “Away in a Manger.” Even though it is still one of my least favorite carols, I have a new-found respect for its origin and the different versions that have been recorded. According to the origins of Christmas carols, this carol was written around 1883 to celebrate the anniversary of Martin Luther’s 400th birthday. Historians believe that the song was incorporated into celebratory pageants, perhaps with a figure representing Martin Luther singing this lullaby to his children. Since Martin Luther’s birthday is November 10, it is not surprising that the tune became associated with Christmas carols. I (and Roger because he was sitting next to me) listened to a dozen or so versions of the song. I found that the traditional American tune is much less appealing than the “Sweet Afton” tune written in 1837 by Jonathan Spilman (also called “Cradle Song”). I loved the Susan Boyle rendition that Jeremy listed in his post. I thought she was just a television phenom with 15 minutes of fame. I was surprised to learn that her 2009 album, The Gift, went platinum in many countries and sold 3,000,000 copies in the United States. I also liked the version by the Celtic Woman and another by Haley Westerna. There’s a recording that I haven’t been able to find from 1996 that combines St. Paul’s Anglican Choir singing one version with St. Christopher’s Roman Catholic choir singing the alternate tune. The idea of the two tunes as a duet sounds lovely. Roger nominated his favorite version, the King’s College Choir of Cambridge. I agree that hearing the angelic voices are beautiful. Lesson learned: maybe it’s not the song that I dislike after all. I just needed to find the most appealing version! Organ Recording– For some reason carols can all sound a little more sacred when played on the organ I believe. Nat King Cole Recording– this is one of the earlier recordings of the tune. Classic! Bing Crosby sings it– another classic recording of this annual favorite. Casting Crowns Recording– a kind of contemporary Christian feel to it. 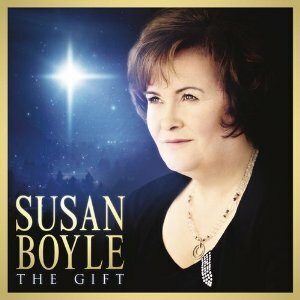 Susan Boyle Performance– this is a nice version of singer with boys choir accompanying. John Denver Recording– a simple version with voice and guitar. Johnny Cash Christmas Album– who know Cash did a holiday recording? Interesting- listen! 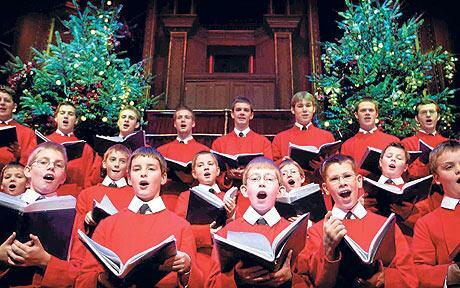 Wiggles Christmas– Even these guys have a recording- pretty straight forward though.